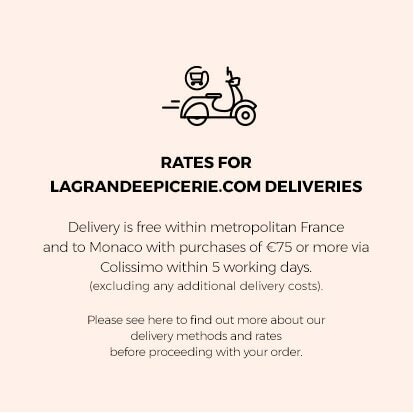 Would you like your La Grande Épicerie de Paris purchases delivered to your home? 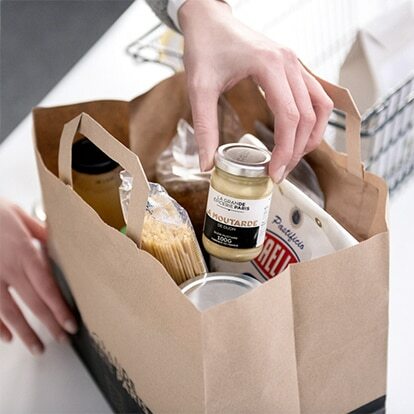 Our delivery service is available to you every day that we are open, from 8:30 a.m. until 9:00 p.m. For purchases placed before 8:00 p.m., deliveries will be made every day from 10:00 a.m. until 10:00 p.m.
Any shopping trolley received after 8:00 p.m. will be delivered the following day from 10:00 a.m. 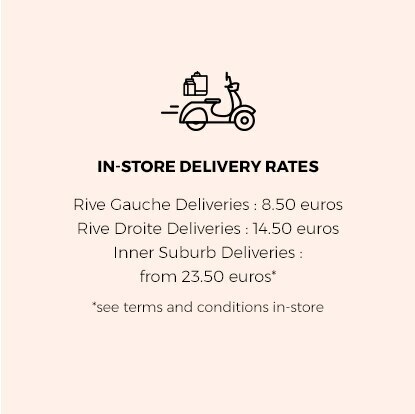 Delivery within inner Paris is free to our customers who have subscribed to our La Carte 24 Sèvres Loyalty Program with any in-store purchase over 50 euros. 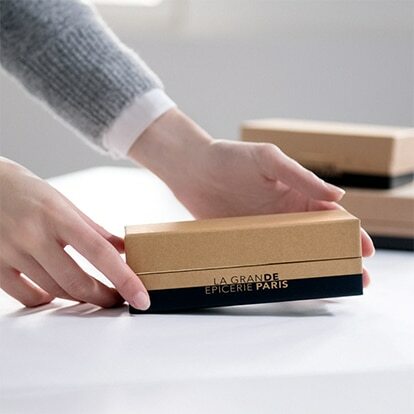 Discover thousands of online products at lagrandeepicerie.com! You can ask for advice and place orders directly at the in-store counters (catering, butchers, wine & spirits, etc.) or telephone in your special orders: savoury and sweet food products, drinks & beers, wine & spirits, gift boxes of fruit or chocolates. For bread, or specially prepared sweet and savoury dishes, La Grande Épicerie Catering will advise you and prepare your order. This service must be ordered at least 72 hours in advance. 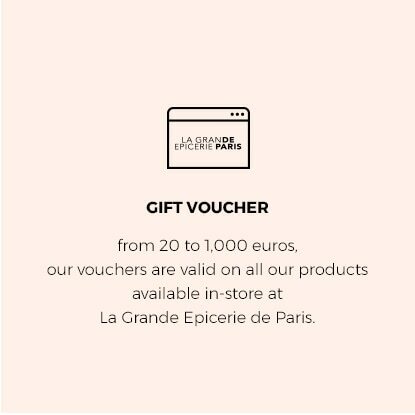 from Monday until Saturday, 8:30 a.m. until 9:00 p.m.
from Monday until Saturday, 10:00 a.m. until 6:00 p.m.
Shop with ease at La Grande Épicerie de Paris. 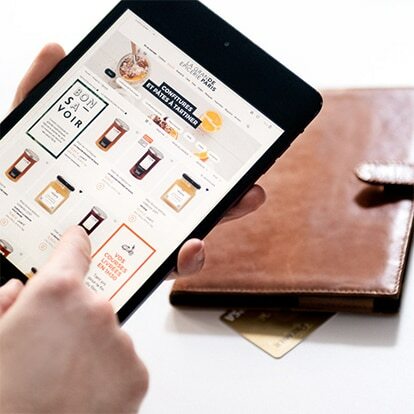 Once you have finished your shopping, leave it at the delivery department. 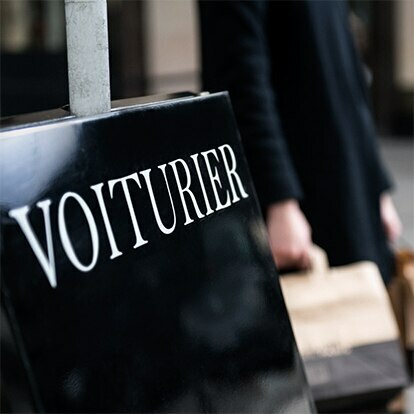 We will look after your bags whilst you continue browsing. 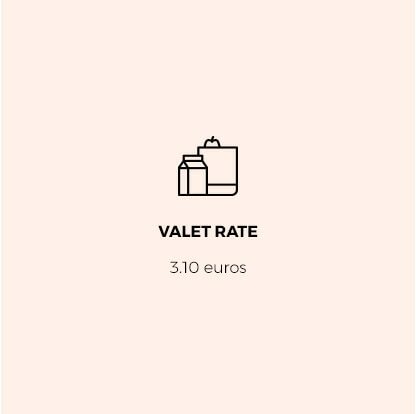 You only have to open your boot: the valet will load your purchases for you! 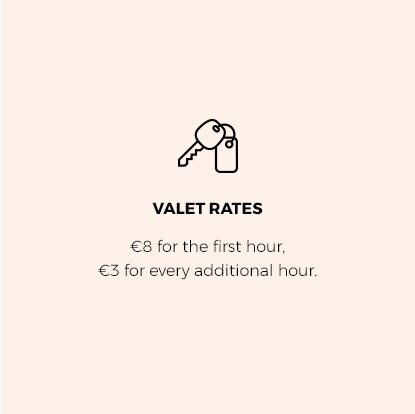 Save time by requesting our valet parking service for your vehicle. 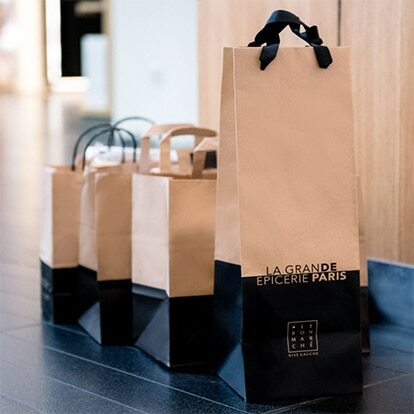 The La Grande Épicerie de Paris Rive Gauche valet parking service is available to you from 10:00 a.m. until 8:00 p.m. at 38 rue de Sèvres Paris 7. A valet will park your car for you. For any occasion, our teams will create gift packs and boxes for you, customised from your chosen products. Find out more about our gift services and gift vouchers at the in-store reception. If you wish to call a cab, simply ask at reception in one of our stores. We will gladly book one for you.